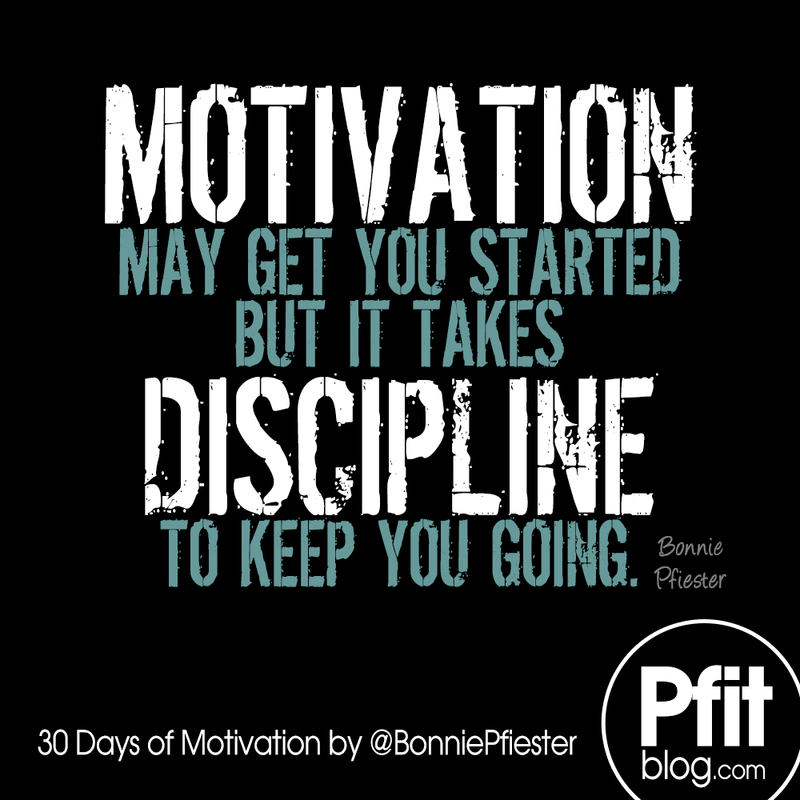 Quote of the Day:Motivation may get you started but it takes discipline to keep you going. Either way, I don’t know a lot of people who don’t want to be fit and healthy. They are plenty motivated to workout and shape up. They want it. They may even cry and tell you how miserable they are. They are so motivated they join a gym at the New Year, buy new tennis shoes, get all the fitness gadgets they need to succeed, make all kinds of promises, but over time something happens – or maybe I should say NOTHING happens. What Happened to My Motivation? Motivation MUST be followed by discipline. People can’t lean on motivation alone. Why? Because motivation is just a feeling that comes and goes – PLUS, you have a lot of other motivations in life that interfere with the one motivation to get fit. For instance, we are motivated by taste to eat poorly. We are motivated by our emotions to give ourselves pity parties and poor a glass of wine after a tough day. We are motivated by our body to sleep in. We are motivated by our family to skip the gym and come home for dinner. We are motivated by our friends to go with them to a party. We are motivated by greed not to spend money on fitness. We are motivated by our love for our spouse to cook what they want and not what you need. We are motivated by commercials to try the next fancy burger at your favorite restaurant. We are motivated by our brain to give up because all this work may not even be worth it any way. Ironically, we are not lacking motivation. We are just motivated by conflicting parties – we are motivated by our mind and what we know is right, which is constantly fighting what our body (flesh) wants. Bottom line is being motivated to workout is only one of many motivations – and it’s up to US to prioritize and decide how we are going to handle any other motivation that may get in the way of our goals. This takes discipline. It takes perseverance and consistency. Before long, you’ll form a habit, and what required strict discipline before becomes almost effortless ritual later. When you set out to reach a goal, you must be prepared for battle. You are your own worst enemy. Your flesh will want to be lazy. It will want to eat what it wants and do what it feels like doing. You need to be prepared to fight for what you want If you want to succeed. That means you need to have a pretty persuasive argument with your fat, lazy, hungry, self. That’s why I create fitness quotes. I know how I fight my own lazy self. I know what I have to tell myself to get to the gym and stay disciplined. I know what gets under my own skin, what psyches me out and what pumps me up. When something clicks with me, whether it’s my thoughts, quotes, lesson learned, fitness fact or a famous motivational quote, I share it in hopes it helps you too. Motivation isn’t just what gets us going, we need to constantly remember what is motivating us to do what is right, STAY going, be disciplined, build this new or stronger habit and reach your goals. START Motivated, STAY Motivated, STAY Disciplined, START Seeing the Reward! Here are my Top 20 Motivational Quotes for Answers.com. What is YOUR favorite mantra or quote? I couldn’t be happier to have found your blog. I’ve found it to be quite enjoyable and motivating! 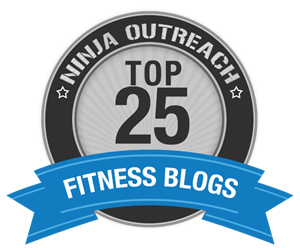 I’m always looking for new and different inspirational fitness and health quotes or articles to boost my momentum, and it’s amazing how difficult it is to find fresh, relatable ideas/suggestions. So I’m thrilled to have found your blog. Thank you! AWE!!! THANK YOU!! SOOOOO GLAD YOU FOUND ME TOO!! Spot on. Today was THE day I stumbled onto your blog. I was drawn to your Pfaith tab. Thank you for this – really resonated with me. Nyårslöftet 30 dagar senare.. | Träningsbloggen.